The LEGAL father found out his wife (at the time) had traveled to Utah to have the girl adopted by the Freis within WEEKS of her birth, never consented to the adoption and demanded the rerun of his VERY WANTED daughter at that time. 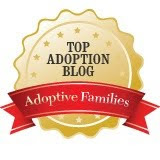 The Freis knew the birthmom was married, knew the birthfather NOT consented to the adoption and decided to proceed anyways (despite being warned that the adoption would be problematic by their counsel, adoption agency and the presiding judge). Had the girl been returned to her legal, biological father who never consented to the adoption when he requested her back -- when Leah was only weeks old! -- the trauma to the girl would be lessened. She's be happily attached to her biofather. Any trauma that results NOW, two years later will be due to the selfishness of the Freis for dragging this case out for years. It's unconscionable, illegal and horrible. (The complaints of the Freis remind me of the old joke about the guy who murdered his parents and then had the temerity to complain about the hardship of being an orphan). I don't believe in hell, but if I did, the Freis would absolutely, positively deserve to spend eternity there for their actions re: Leah. The Freis' disgust me. I cannot believe that they have a blog wherein they have requested funds to fight their battle and am in disbelief that there are people who have given them over $20K. Sick, sick, sick. I understand that the Freis' family "lost" their last court case and have 60 days to return the child to her Dad, but they vow to continue to fight as they believe they are in the right. Totally disgusting. This story absolutely sickens me. I truly don't understand how something like this can even be allowed to happen in the first place in 21st century America. Are you kidding me? The Freis' are disgusting and should be embarrassed and ashamed by their selfish actions. Leah, when she's older, will know exactly what happened to her -- the actions of the Freis, the courts and her dad by a single click on google. ... or when the ruling goes the other way (birthfamily tries valiantly to get the kid back, judge rules for adoptive parents, lots of appeals but kid stays wilth adoptive parents), so the kid knows that her 1) biofamily desperately wanted her and 2) her adoptive parents fought and managed to keep her. The Freis knew at the time that the father had not been notified and would probably object to the adoption. They have five other children, two adopted. They wanted another African-American child to give the other one a playmate who looks like them. They are scum. And they are collecting money for the legal fight at Kristi Frei's rather disgusting blog, all about God and how God directed them to do it. People like that are reason enough to distrust religion. while i generally disagree with many of your posts… to me, what makes this different is that he came for his child immediately. he's not someone who is fighting for his kid for the sake of fighting and proving something for someone else's interests. he never told his wife he didn't want a child (like many other cases). he clearly wants to parent the child. the frei's should have immediately corrected a really bad situation. the wife (now ex wife) is really the bad one in all this as she set the situation up for trouble from the start. the dad seems like a good guy - was supporting his wife while away and has a career and the ability/motive to parent. are we missing something here? this is clearly so much different than so many of the other stories (like the indian tribe story). he was there from the beginning. i don't get it. so here we go, i agree with you. As an adoptive mother, I am appalled at the Freis' actions. To move forward with an adoption under the circumstances they did is simply reprehensible. My younger daughter was over a year old when she became mine, and is the most centered, self-aware, wise teenager you'd ever care to meet. She grieved for all that was familiar to her when we got her, but she got through it. If Leah has been loved and has attached to the adoptive family, she will be able to attach love and attach again, to the father who has wanted her since before she was born. They will need support, and yes, there will be grief, but she deserves to be with her father, and he her. I'm ashamed to have to acknowledge being in the same demographic with this family. And THEY should be ashamed of what they have wrought upon this young family. Because yes, a daddy and his daughter are as complete a family as any other. What these people are doing is despicable and they belong in jail for kidnapping, as far as I am concerned. On another note, many fathers the world over have their rights trampled over when they have children adopted out and DO NOT KNOW that they even have a child to begin with, to fight for their children. When and if they do find out, it is too late. This happens in many cases when the natural mother cannot locate the father (especially in the pre-internet days) and the baby brokers place a bogus ad in some paper the natural father will never see, to claim his child. To me, these men are just as victimized as anyone else and I find it disgusting. I feel so sorry for Leah. Actually, Being a single father is a difficult job, but one with innumerable rewards. Whether you are a divorcee or a widow, being the prime caregiver for your children is a big responsibility that will likely become the focus of your life. Even those single fathers who work and have childcare help understand that raising their children is their life’s work. The really challenging part here that gets me too is that Leah's biological father is in the military. It sounds (and this is just from my limited exposure to this case via the article sitations above) that Leah is going from a 2 parent household surrounded by brothers and sisters, to a 1 traveling parent household? Assuming he plans to stay in the military, change and adaptation will be a skill she'll need... Looking at it from Leah's perspective, no body really seems to "win" here. Then again, so few things in life are black and white. A decade after I found my biological family, I got a packet of papers from my maternal bio grandmother, containing letters from my bio mom to the social worker, trying to get information, photos, etc about me. My parents had already decided that they weren't going to share information as my bio mom was unstable and it wasn't really good for anyone. I feel they made the right call. Though these letters proved that I was "wanted" in some sense by my bio family, "family" to me are the people that loved and cared for me, so as an adoptee, this situation feels incredibly sticky. Can I say I would have been better off if either of my bio parents claimed me? Probably not. My adoptive parents did a bang up job and I'm actually GLAD I did not grow up with my biological parents. It's aweful that it went down like this... it's just that no one "wins"... least of all Leah.